Hundreds of school kids from across the Gold Coast hit the high notes at Surfers Paradise beach today as part of a national singing initiative. Music: Count Us In celebrates and encourages music education in Australia by asking hundreds of thousands of students across the country to sing the same song, on the same day, at the same time. 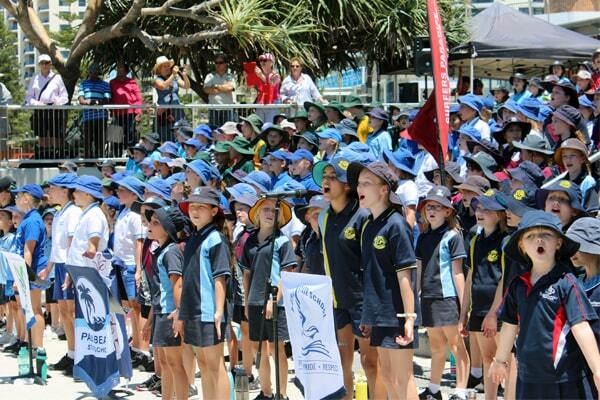 Adding their collective harmony to the cause, hundreds of Gold Coast children from multiple state schools came together to perform this year’s chosen song, One Song, on the beach. Surfers Paradise Alliance CEO Mike Winlaw said the much-loved destination was the perfect place for Gold Coast students to showcase their passion for music. 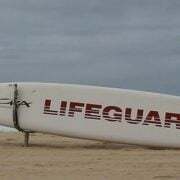 “As an ongoing supporter of Music: Count Us In, it brings us great joy to lend our incredible Surfers Paradise backdrop to a program that nurtures young talent and allows children to embrace the magic of music and music education,” he said. An initiative of not-for-profit Music Australia, Music: Count Us In has grown in popularity since 2007 to become the country’s largest school initiative. Last year’s event alone saw more than 660,000 students from 3000-plus schools learn, rehearse and perform the same song.